Antonio Conte has been out of work since leaving Chelsea last summer, but reports in Italy suggest a return to Juventus is a possibility. 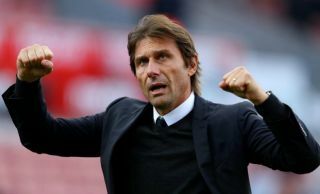 As noted by Squawka, the Italian tactician revealed last month that there is still legal issues between him and the Blues which have dragged on since his departure from Stamford Bridge last year. It follows on from a successful stint in charge of Chelsea, with Conte winning a Premier League title and an FA Cup in his two years at the helm. However, as he now continues to assess his options and a potential return to management, Calciomercato report, via the paper edition of Corriere dello Sport, that Juventus could look to take him back to Turin this summer. It comes amid question marks over Massimiliano Allegri’s future with the Bianconeri, as the 51-year-old has dominated domestically since being appointed in 2014, but his ongoing failures to end their wait for glory in Europe could be a factor in a change being made. Nevertheless, it would be a surprise if Conte were to return, albeit he did only cut short his previous successful stint in order to take charge of the Italian national team. With that in mind, perhaps a return to Juventus would be an appealing proposition as there may well be an element of unfinished business, but time will tell if Allegri firstly departs to open up a job opportunity for his compatriot. As noted in the report above, things are yet to be concluded with Chelsea, and so it remains to be seen if that is cleared up before the summer in order to clear the path for Conte to get back to work with Juve now seemingly an option on the table for him.